A new documentary reveals how your Google searches and Facebook newsfeed can bias your opinions without you knowing it. 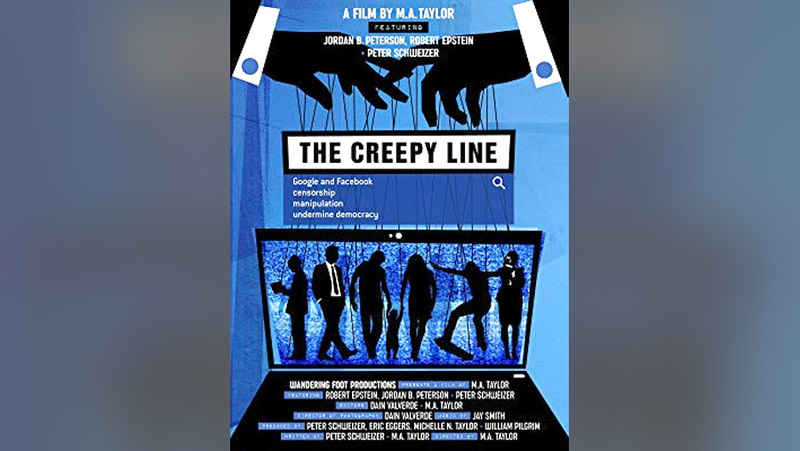 The Creepy Line, available on Amazon and Amazon Prime, shows how these two companies manipulate search engines and newsfeeds. This presents a serious threat to our democracy and elections. The movie gets its name from a remark former Google CEO Eric Schmidt made several years ago. He explained how the company handles privacy. “There’s what I call the ‘creepy line,’ and the Google policy about a lot of these things is to get right up to the creepy line but not cross it,” he said. The documentary disagrees. Google crosses the creepy line every day. And that line keeps shifting. 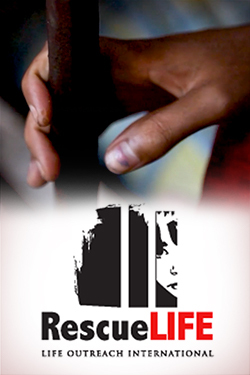 The film is not partisan. In fact, the foundational research of the film was conducted by Dr. Robert Epstein. Epstein, a behavioral psychologist, supported Hillary Clinton for president. The Creepy Line explains that Google and Facebook started out with great ideals. They wanted to connect people to each other and to the information they needed. But bias crept in. Google’s page rank — the way it sorts sites by relevancy in search results — is inherently biased. Google and Facebook sell companies, political parties, and other groups what they know about us, so those enterprises can get us to do what they want. Next, Google started tracking people’s searches in order to make money. They constructed profiles of people based on their searches that never go away. This allows them to send you targeted ads when you do a search. At the same time, they convinced people they were benevolent. Google’s corporate slogan was “Don’t be evil.” Professor Jordan B. Peterson notes that Google’s clean homepage makes people think it’s harmless. Once people started going directly to websites, so Google couldn’t track them through searches, Google built a browser, Chrome, to track them everywhere. The company came up with an operating system (Android) for smartphones that tracks what you’re doing — even when you’re not online. Google built apps like Google Docs and Google Maps to collect even more data about people. Here’s the crucial fact in understanding that creepy line: The company sells you. We, the users, are the product. Google and Facebook sell companies, political parties, and other groups what they know about us, so those enterprises can get us to do what they want. That may be buying products we don’t really want and can’t afford. It might be voting for a candidate we don’t really support. They get away with it because most people don’t want to believe that the data they collect is going to be used to manipulate them. They also get away with it because they give us things we want. Google offers goodies like quick web searches and free email. Facebook offers the goody of connecting with others and being able to say whatever we want. Algorithms are behind this system. The algorithms do two biased things: they filter out results and rank them in order. This is a problem when it comes to political issues, because it will always favor one result over another. Peterson asks, “What’s good and bad according to whose judgment?” A handful of people at the big technology companies will determine what a billion people think today. They’re building a giant unconscious “mind” that will filter the world for us. They’re building a giant unconscious “mind” that will filter the world for us. It benefits the people building the machines, not us. You only see what you already know. You don’t know what you don’t know. Google and Facebook control the portals to information. It makes us easier to control and be manipulated. Fake news is being used as a weapon to discredit real news. But fortunately we can see fake news and recognize it. With a little discernment, it’s not a real threat. The real threat is suppressing information and directing us elsewhere. It’s invisible. Not too long ago it came out that Facebook tinkers with users’ emotions. They performed psychological experiments on their users. They would show them more negative news than usual. It may have driven young people to suicide. We’re not citizens of Facebook. We can’t vote on what the company does. Google has no customer service department. Phil Kerpen, the president of American Commitment, observed that the two tech companies aren’t legally responsible for things people say on their sites as long as they claim to operate a neutral platform. Seems fair. But the reality is the two companies take very aggressive editorial control. They’re not neutral. That’s why they should be forced to make a choice, not hide behind the law. You tell Google more than you would tell your wife or a close friend. If you don’t like that, then stop using Gmail. Google reads your email in order to send you targeted ads. They even track your drafts that you didn’t send. Google and Facebook regularly lobby state legislatures against passing stronger privacy legislation. Government is biased because it’s using their products. The federal government uses Google tools, including Gmail. Google has street view vehicles that take photos of your home. This practice led to lawsuits from numerous states, resulting in a settlement and fining Google. Google Home Mini records conversations. It’s always on and always listening. It is biased because when you ask it a question, it only gives you one answer back. Google offers its Apps for “free” to schools, but they violate privacy laws by collecting information from children. The federal government has done nothing. The tech giant also spends millions on academic papers, funding so-called independent experts. Google keeps a very dangerous blacklist called the quarantine list. It contains millions of websites that Google doesn’t want you to see. There are no relevant regulations and no oversight. Google in effect shut down the entire internet once for 40 minutes. Who gave them the power to do that? Dr. Jordan B. Peterson, a Canadian professor who appears in the documentary, had his videos censored on Google-owned YouTube. They had received millions of views. In his videos, he was critical of using certain pronouns when it comes to referring to people. Google also shut off his Gmail account. The company said he violated their policy. But no explanation was given. Dr. Epstein found out the hard way that Google is able to block a website through Firefox and Safari — even though those aren’t its browsers. It happened to him coincidentally a day after he wrote an article about whether Google could tip an election. He found that Google could influence elections by 10 percent. The day after his article was published, Google blocked his website from the internet, claiming it had been hacked. Epstein discovered what he called the Search Engine Manipulation Effect in 2012. He conducted an experiment where he had people research political candidates with biased search results. Epstein found this was an easy way to shift people’s opinions of those candidates. He also figured out how to do it without people suspecting biased search results. Even when the people were aware of the bias, they still were influenced in favor of the bias. The top search results are important because fewer than 5 percent of people click past page one of the results. The search results for a political candidate can result in all positive or negative results. Epstein found that suppressing all negatives for one candidate in particular can shift viewpoints. Another biased feature of Google is its answer box at the top of search results. It’s what Google wants you to see, not the best result. People don’t realize this. Epstein preferred Hillary Clinton over Donald Trump. He admitted Google’s search results favored Clinton. Similarly Facebook could influence an election by sending out messages just to Democrats reminding them to register to vote. The documentary compares what Google and Facebook are doing to 1930s fascism in Italy. There, the government fused with large corporations. Yet now it’s even more cleverly done. We all opted in. We trust them to make a right and good decision for us. But the reality is Google and Facebook have the power to undermine democracy without us knowing it. Peterson calls it a totalitarian conundrum. He says we need to have other choices to compete with Google and Facebook. Why not just quit using Google and instead use a private search engine like DuckDuckGo? If you think the name sounds silly think about the first time you heard “Google” mentioned. As far as Facebook, they may be the only game in town but I deleted my account after realizing what they’re up to and have never regretted it. Can you better explain what you mean by private search engine? Some search engines like Google save your search history and create a profile for you based on the websites you frequent. This information is sold to businesses for targeted marketing of their products to you or can be used to influence the results of your search. Even your email messages are searched if you use Yahoo Mail or Gmail and used to build a profile that is sold. That’s why after you’ve been looking at a certain product of interest on line you’ll start seeing similar products pop up in the ad section of the web site your on. It’s not coincidence, it’s marketing based on your supposed private searches and emails. Private search engines like DuckDuckGo don’t save your search history so when you do a search you get an unbiased result rather than a result that is designed to manipulate you in some way and you don’t start getting a bunch of targeted ads. 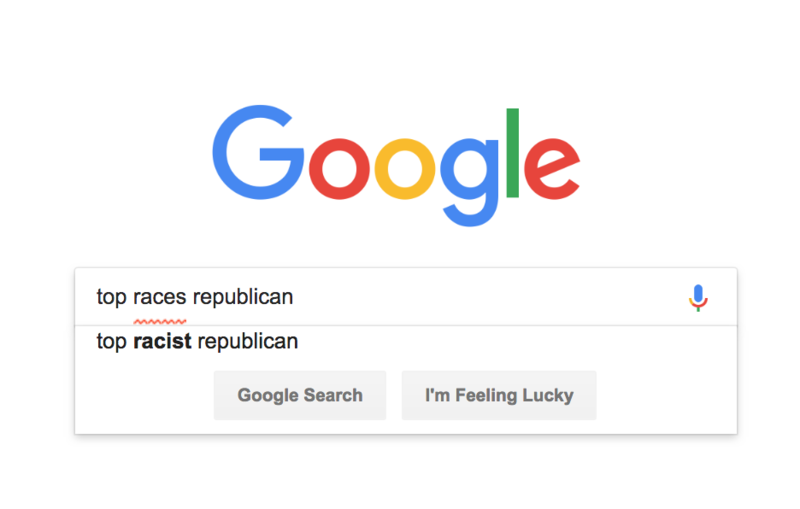 To clearly show the Google search bias, try searching “Top races Democrat” and see what is the only recommendation. This is why it’s time to start using web browsers like Brave. Their goal: better performance, block ads, block tracking cookies and apps. Of course all this comes at a price. Since Ad revenue is virtually eliminated, guess where it comes from? That’s right – directly from you via “micropayments” after you opt into the service. Over all probably worth it, but I fear most people are so used to “free” (where free means free to use after you agree to let them sell everything about you without your knowledge) that the very mention of supporting the sites and content providers you like to visit via micropayments will scare many away. This is nothing new, or anybody new. It is an extension of something old by the usual suspects. The same people who got control of traditional publishing, news and entertainment, got control of digital and social media. They simply use their privileged access to the Fed Reserve printing press to buy up all the sources of communication, and then the oligopoly control of media in general drowns out any attempt at competition, which is simultaneously starved of access to capital. Facebook was never any safer than Myspace, and it was a less interesting format. But the media fusillade convinced people Myspace was unsafe, and that gave VC an excuse to throttle funds. FB emerges as monopoly in that arena of social media. Once in possession of a monopoly, FB then uses the idea of “user safety” to censor non compliant right wing communication. No different from what the same group of people did with book publishing, newspapers, TV and movies in earlier ages. Simple to fix. Use a different search engine, do not have a Facebook or Instagram account and use the free email account that comes with your ISP rather than gmail.